secrets in Phuket. 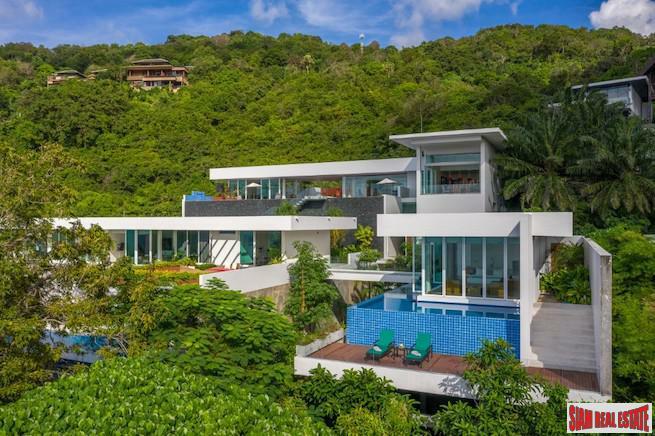 It could be described as the Beverly Hills of Thailand – hidden in Nai Harn, in the very south of the island, sheltered and surrounded by the hills on three sides with lakes and its own water supply. The grounds are idyllic avenues of trees and an assortment of flora and fauna surrounding every private villa of which there are over 50 spaciously spread out on land plots of more than one rai, all with complete privacy. There is exceptionally tight security with two guard gates manned 24/7. Rarely do these exceptional villas, which are much sought after, come on the market for resale. The villa and pool are set within a 1,200sqm plot of tropical garden, facing east over a picturesque tree-lined lagoon, with the sun rising in the morning and remaining every day of the year until late afternoon over the lagoon, pool area and rear sandstone terrace. There is also plenty of shade on the outdoor verandah, Thai sala and overhanging eaves of the roof along the rear terrace. More than 30 species of tropical birds have been seen to visit at various times, with the local Mynas being especially common in numbers. The villas’ 440sqm interior features very spacious, high vaulted-ceilings an open-plan lounge, dining and kitchen area with refrigerator and dishwasher. Air conditioning is fitted in all the bedrooms and lounge, with the added features of satellite TV and a sound system with connections for iPod and mobile phones. There are three bathrooms, two of which are en suite; washing machine and ironing facilities; and a separate study with a comfortable sofa, computer internet connections and a library. The private pool is 1.3 meters deep throughout, and has an automated ionized, non-chlorinated water-cleaning system, providing clean, fresh water for relaxing in. 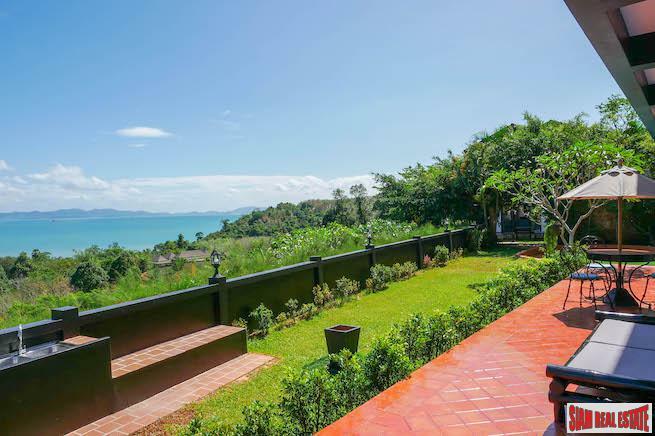 Built in 2002, this beautiful Thai-Balinese style property boasts some of the best build quality and finishings on the island. The villa is available to buy now and has great rental potential with many customer bookings already in place, if the new buyers choose to rent out the property. Returns of up to 7 per cent per annum can be achieved. 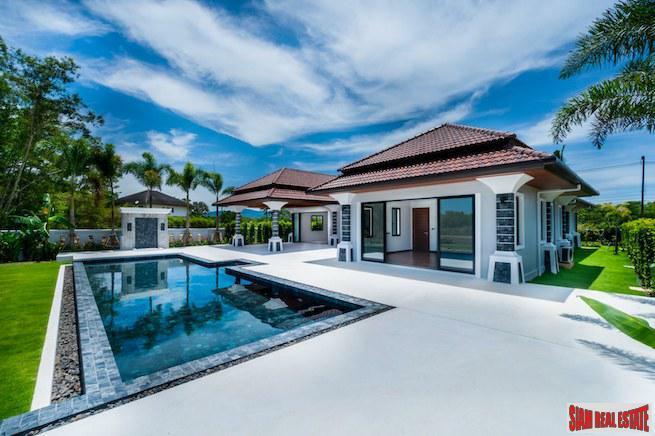 For details, contact Patrick at Siam Real Estate and quote reference number: HSIL6864. Tel: 076-288908.